There are many things that can be used as headphone stands. For people who do not want to spend the time to DIY a headphone stand or the money for those overly priced retail stands, repurposing common objects as stands works perfectly fine. Examples of objects used are Banana Stands, hooks and all kinds of surfaces that allow you to rest your headphones on. Sometimes these solutions are aesthetically unpleasant, sometimes they simply do not work as well. I have come up with an idea (at least I haven’t seen anyone doing it or talk about it) of repurposing a guitar capo as a clamp on kind of stand. Read on for some pictures and a video that explains more about it. 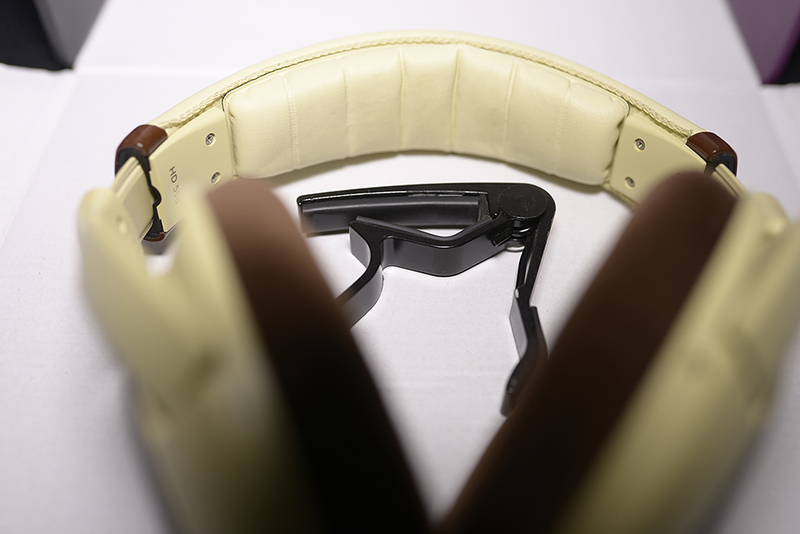 The capo has surfaces that are very compatible with placing headphones. In addition, the clamping functionality enables the capo to be used in various places. As long as there is a stand and edge to clamp on, headphones can be hanged at that very location with the use of the capo. The capo is easily obtainable and costs little. The variety of designs and colours make it versatile in different colour schemes and themes. 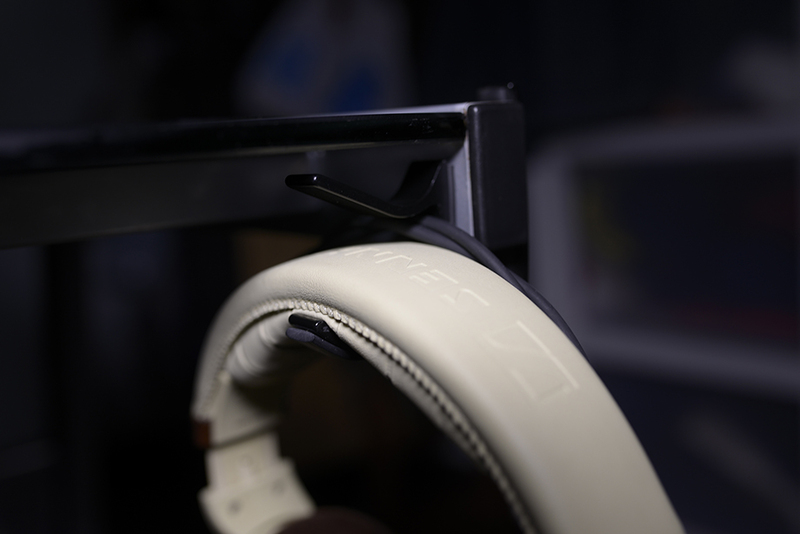 The way I place it (on the edge of my desk) not only looks fantastic, it also makes my headphone easily accessible; the capo headphone stand is simply an elegant and practical solution.